Home » bipolar , kristen , kristens korner , mental illness » Kristen's Korner: "My Bipolar Boyfriend"
Kristen's Korner: "My Bipolar Boyfriend"
Yesterday evening the lovely and effervescent Kristen told me that she had composed a lil' something for this blog. I had no idea she was working on this, but after reading it I couldn't help but think that she expressed some things about bipolar disorder better than I have and maybe ever could. And she wants to write more stuff for this site, too! So expect more out of Kristen's Korner from here on out. First, I’d like to thank Chris for letting me borrow his blog. I don’t have the time nor the patience to keep up a blog of my own, but I do (on occasion) feel led to write, and requested a venue to share my thoughts. Second, I’ll introduce myself. My name is Kristen Bradford. You’ve perhaps seen my name referenced in Chris’ entries, or even seen pictures of me on here in the past year. I am proud to have earned the role of “Chris Knight’s girlfriend.” He is my first boyfriend - the only serious relationship I’ve ever had in my 27 years of life, and I can honestly say I have never been so happy before. Now that I’ve gotten the housekeeping things out of the way, it’s time to delve into what I want to talk about... bipolar disorder. Those of you who have been reading The Knight Shift for some time will know that Chris has not kept his mental condition a secret. In fact, he wants you to know about it. We were barely in the “open communication” stage on eHarmony when he revealed his condition to me. At the time, although I had heard of it, I didn’t really know much about it. Fourteen months later, I am still struggling to understand what bipolar is... although I never truly will, since I don’t have it. I am one of those people that likes to help others. Whether it’s a friend who needs someone to listen, or a veteran’s disability case I’m working at my job, I want to do whatever I can for others. So it’s been difficult for me this past year, because although Chris has become the person I am the closest to, I can’t always fix things. Sometimes he calls me in the midst of a bipolar episode. All I want to do is comfort him and help him feel better, yet I may fail in doing so. Those are the times that I feel inadequate as a girlfriend, wishing I could do more. But I am slowly learning that I can’t just fix bipolar. Chris is always going to have it (unless, God-willing, a cure is discovered). Nothing I say or do will make it go away. Chris may be a person of reason, but bipolar doesn’t deal with reason. He has to battle his mind, a mind that wants to trap him in either a state of depression or mania. I cannot fully comprehend what that must be like, and honestly I don’t think I want to know. All I can do is be there for him. If he needs to talk - even at 3 in the morning - he knows I’ll be there to answer the phone. I’m not going to fix his condition, but I am someone he can lean on when he needs it. What makes this difficult on the loved ones surrounding someone with bipolar? First, you never know when an episode will strike. Although medicine does wonders, it isn’t a cure. Episodes still happen (but luckily, they do pass). It’s especially hard for me, though, when Chris is at his home and I’m at mine - about an hour and half away - and I can’t physically be there for him during an episode. Sometimes episodes will put a monkey wrench in plans that have been made. But that can happen with any type of illness - even the common cold or a stomach flu. I am trying to remind myself that although there may not be much projected outward (since it’s a purely internal disorder), that doesn’t negate the fact that it is a medical condition that may require time apart until Chris feels better. I’m also learning that bipolar is nobody’s fault. It’s not my fault if he gets depressed or recalls a bad memory - I just may happen to be there when it happens. It doesn’t mean I caused it (which is taking me a while to understand). And it’s certainly not Chris’ fault. Chris is a genuine, decent, and honest person that I am thankful to have in my life. He is one of the kindest people I have ever met. But because of bipolar, he has done things in his past - and even a few things since we started dating - that can be attributed to the bipolar, not him. I cannot blame him for a mind he can’t always control. He is always apologetic, regretting what has happened, but I know the true Chris inside is not the person that bipolar may portray him to be. That’s what I want people to recognize - bipolar doesn’t define a person. It is, unfortunately, a part of the person that has it. It’s like Bruce Banner and the Hulk. The Hulk is inside Bruce, but Bruce can’t control when he turns green or what havoc he may cause afterward. But the Hulk doesn’t define Bruce Banner - Bruce is an intelligent scientist who uses his talents to help others (anyone watch “The Avengers” this summer?). But there are times he gets angry, and the Hulk emerges - ready to smash! Can Bruce Banner be blamed for what the Hulk does? What do I want readers to take away from this? -Remember that bipolar disorder isn’t an easy thing to deal with - for the person suffering OR the loved ones surrounding. -You have to learn patience. It may take a while to find the right medicine to manage the condition, and episodes can be difficult but do pass. -Don’t give up. If you have bipolar (or any mental condition, for that matter), remind yourself that it can’t keep you down forever. Rely on your support system, your counselor, your medicine. You are not alone. And to those who know someone with a mental condition - please don’t give up either. Don’t give up on that loved one. It’s not going to be an easy road to walk, but you may be the only support they have. I know that life has its ups and downs, and may be moreso with Chris and I, as he goes through life managing his disorder. But I wouldn’t take any other road than the one I’m on. We all have our burdens to bear - Chris just has one that is more difficult (yet less visual to others) than most people. Despite the bipolar, he can still have a normal life. And I’m honored to be part of it, and know we will get through whatever challenges may arise down the road. Bipolar may not be easy to live with or have a cure... but it is controllable, and doesn't have to stop those affected by it from enjoying life. Chris and I are certainly enjoying ours. Thanks for allowing me to visit Kristen's Corner. It gave me a peek into a condition that I know very little about. 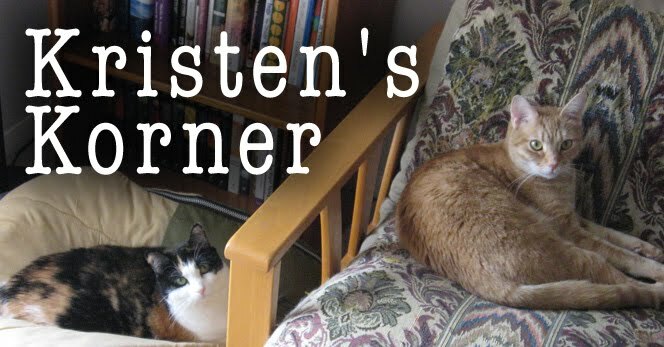 I look forward to more visits to Kristen's Corner. Kristen is very brave or very foolish. I wouldn't want to be married to someone with bi-polar especially not someone who lost one wife already. To Anonymous: Then don't marry someone with bipolar disorder! No one said you had to. Heck, I know not everyone can handle it. I'm learning it won't be an easy thing to go through life, even after we get married someday, but you know what? I love Chris. I know God put us together. There's no one else I want to spend my life with. He's worth it to me - despite his past, despite his condition. He has always been very open and honest about his life and his past, and 14 months later it hasn't scared me away yet. Because I am committed to him. Just a question I want to leave you with: if you're married, and your spouse was diagnosed with bipolar, or any other mental condition after you'd been married for some time... would you walk away just because it's "too hard," or would you take your vows seriously and stay committed, despite the diagnosis?